Manga publisher Yen Press is bringing an English localization of the Kingdom Hearts Re:Coded light novel to North America in 2019. People will be able to find it on store shelves on August 20, 2019. It will be available to purchase from major book stores for $14.00 in the United States and $18.50 in Canada. The paperback book will be relatively short, as it will come in at 176 pages. Take a journey with King Mickey, Sora, and the gang in the light novel adaptation of Kingdom Hearts Re:coded — out August 2019. In this adaptation by Tomoco Kanemaki, a long time writer for the Kingdom Hearts series’ novelizations, a strange message has appeared in Jiminy’s Journal that the cricket knows he didn’t write. As Sora is taking a well deserved break at the Destiny Islands after the events of Kingdom Hearts 2, King Mickey, Donald, Goofy, and the gang at Disney Castle get help from a digital version of our spiky-haired hero. This version of Sora fixes the bugs within the book’s data and discovers its secrets. Kingdom Hearts Re:Coded originally came out as the Kingdom Hearts Coded puzzle game for mobile phones. It was then remade and fleshed out with the Nintendo DS release. 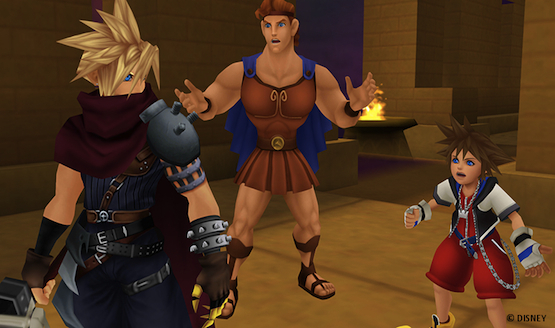 Finally, its remastered cutscenes showed up in the Kingdom Hearts 2.5 HD ReMIX collection. The DS version of the game had players go through the original worlds of Kingdom Hearts for the third time after Chain of Memories, with less powerful hardware and less comprehensive controls. Perhaps reading this story would be more engaging than the game itself? On March 27, 2019, the Kingdom Hearts series celebrated its 17th anniversary. It has since shipped over 25 million copies worldwide. PS4 owners in the United States, Canada, Europe, and Latin America who are curious about the magic of the series or want to experience it again can now pick up the physical copy of The Story So Far. It comes with every game before Kingdom Hearts 3.